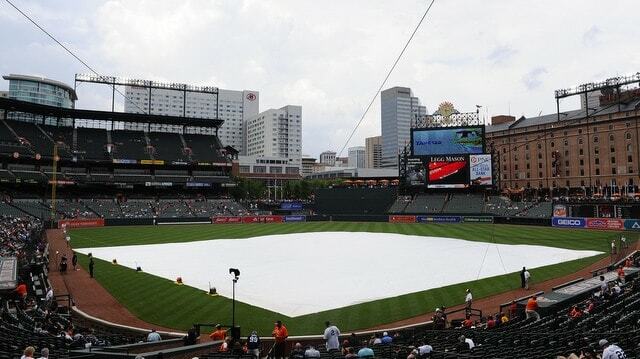 The Yankees kicked off their 11-day road trip in Baltimore, and after enduring yet another weather-related postponement on Thursday, finally were able to take the field at Camden Yards on Friday and do what they’re supposed to do against the team with the worst record in the major leagues: win. 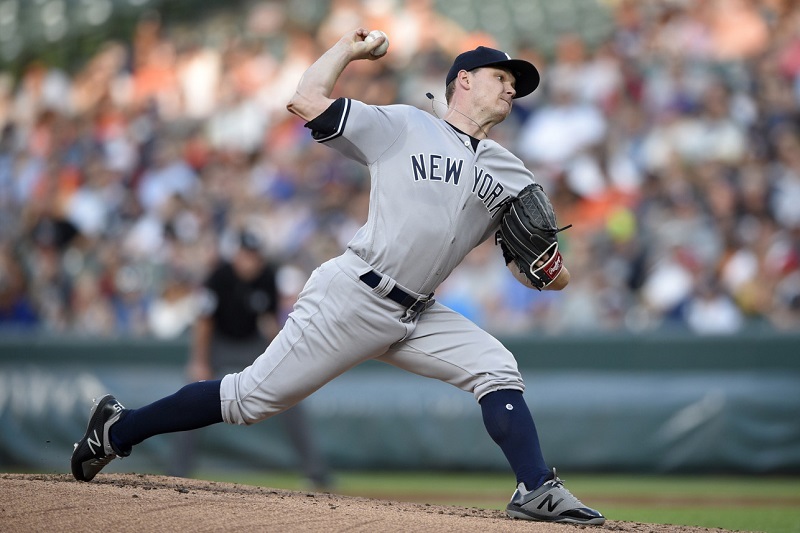 After the 4-1 victory, the Yankees improved to 28-1 when allowing four or fewer runs. That’s by far the best record in MLB in that situation. In fact, every other team in MLB has lost at least six games in which they allowed four or fewer runs. 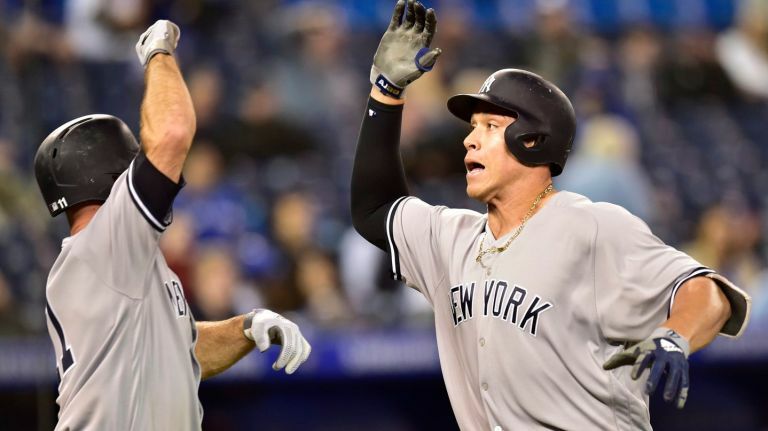 The Yankees explosive bats have helped them win many games — they entered the series tied for the AL lead in games with multi-run innings — they beat the Orioles by scoring exactly one run in four separate innings. This offense may be on pace to break the single-season home run record, but you can’t call it one-dimensional. 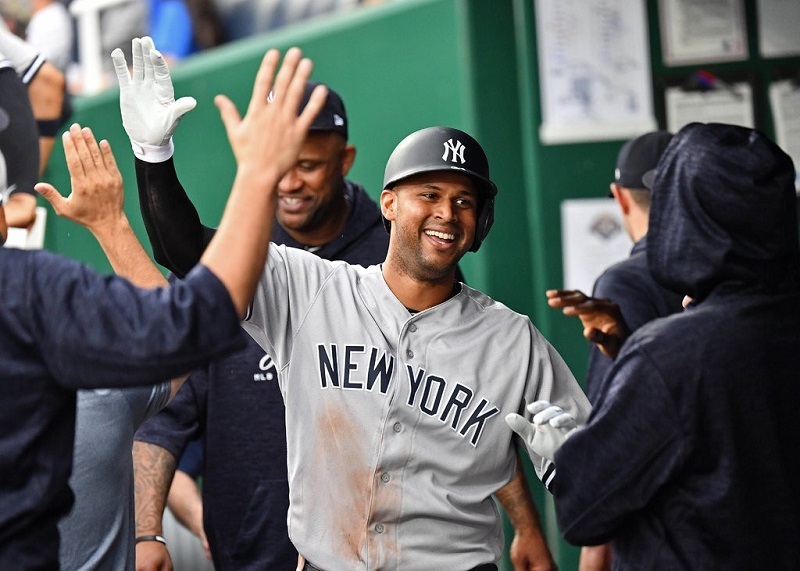 After Friday’s win, the Yankees improved to 4-6 (.400) in games without a multi-run inning; the MLB average win percentage in those games this season is .196. 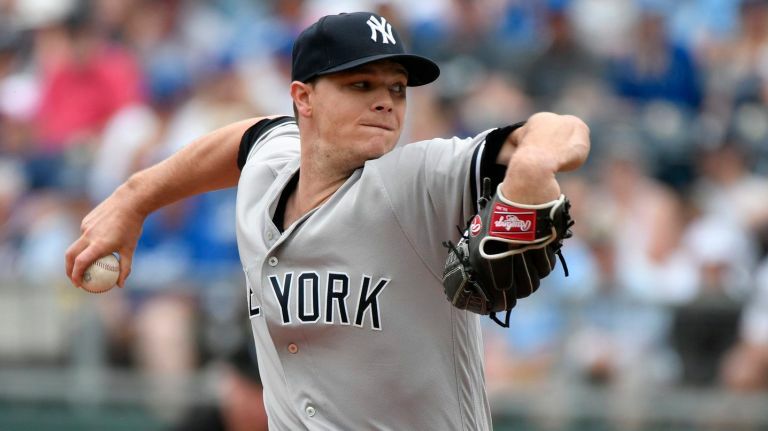 Sonny Gray continued his mystifying, Jekyll-and-Hyde act on the mound, bouncing back from a disaster start against the Angels last week to throw a solid six innings, with one run allowed on four hits. The most encouraging number might be zero — the number of times he walked a batter. It was his first zero-walk start since joining the Yankees last summer. Although he started 12 of 22 batters with ball one, he was able to battle back and retire 11 of those 12 guys. That’s a waaaaay different Sonny Gray than we’ve seen this season. 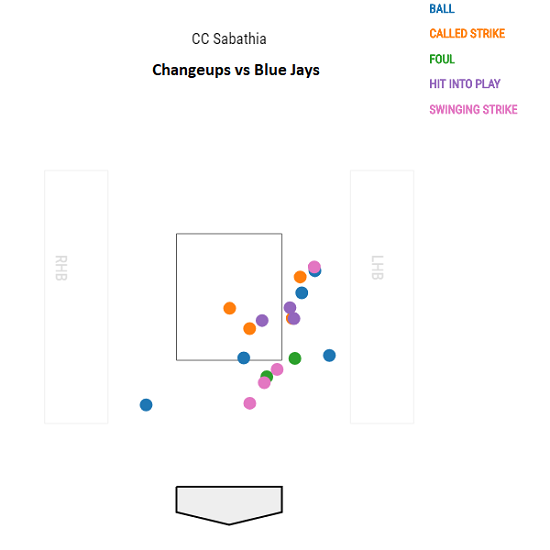 Entering Friday, he’d put 102 batters into a 1-0 count, and nearly half (49) of them had reached base; his .480 OBP allowed in that situation ranked 10th worst in baseball (min. 70 batters faced). 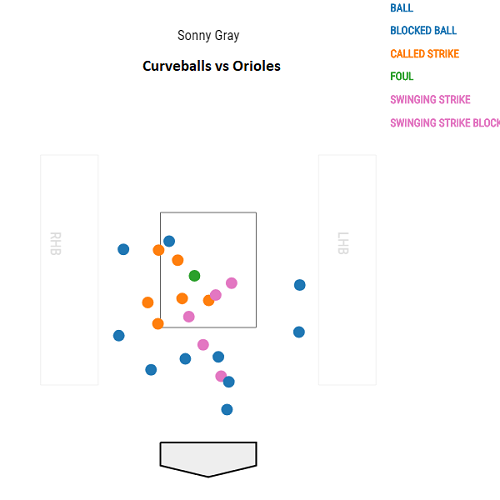 His biting curveball was electric as the Orioles whiffed on five of their six swings against the pitch (the only contact was a foul ball) while taking six more curves for called strikes. None of the 22 curves he threw were put into play by the Orioles hitters. 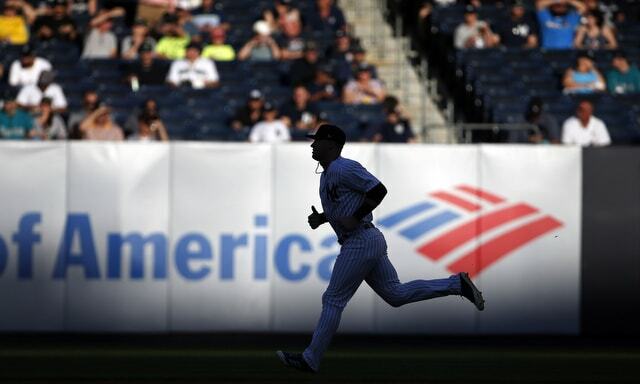 Greg Bird gave the Yankees the lead for good with his first career triple in the fifth inning, driving in Brett Gardner from second base to put them up 2-1. 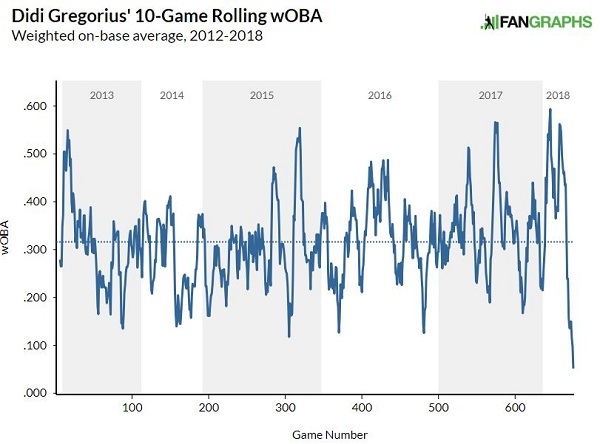 He entered the game slugging .778 with runners in scoring position since the start of 2017, the best mark in the AL and fifth-best in MLB (min. 50 plate appearances) through Friday. 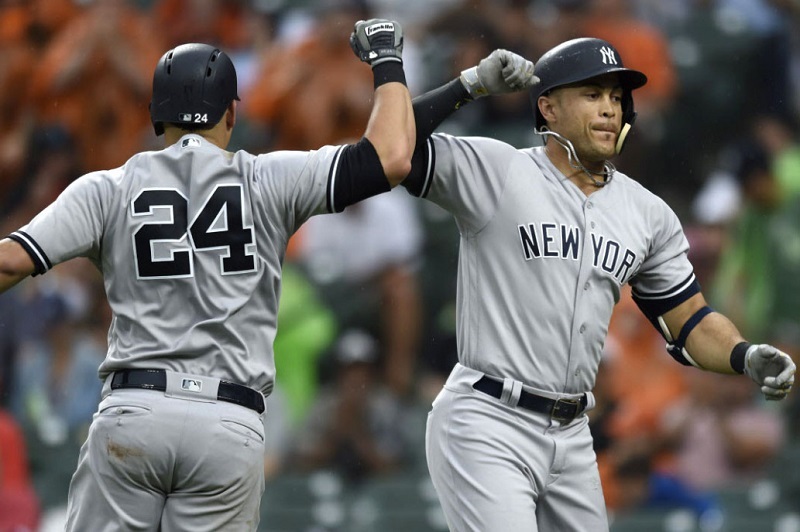 After waiting out a non-rain-delay of one hour and 44 minutes prior to Saturday’s contest, the Yankees went to work against the Orioles pitchers, pounding them for eight runs on 13 hits — including seven for extra bases — and cruised to an 8-5 victory. They improved to 37-17, the earliest into a season (54th game) they’ve been 20 games over .500 since 1998, when they first reached that mark with a record of 29-9 on May 19. The parallels don’t end there: both teams started slowly, with the 1998 club going 1-4 in their first five games and the current 2018 squad treading water at 9-9, before ripping off massive runs. There’s another other season-long stat that deserves mention here: The Yankees still haven’t lost more than two games in a row. 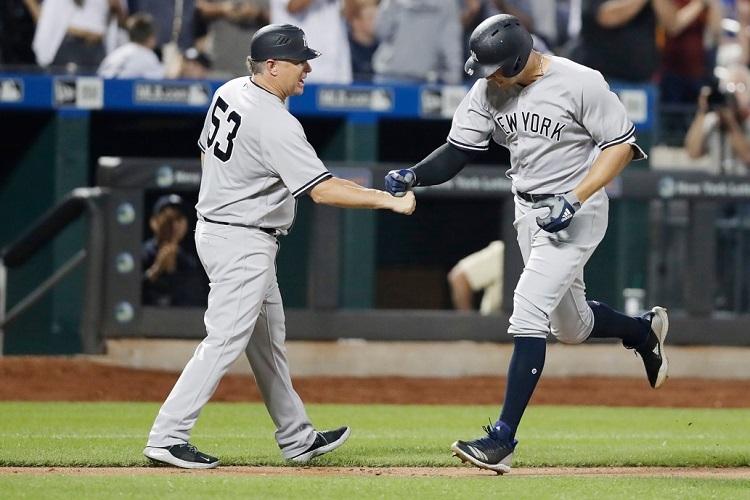 This is the deepest the Yankees have gone into a season (54 games) before suffering their first losing streak of at least three games since 1955, when they didn’t lose three straight until their 58th game on June 12. In order to get this win, they had to overcome another bout of homeritis by Masahiro Tanaka, who surrendered three home runs in a game for the 11th time in his career. Since his debut in 2014, the only pitcher with more three-plus-homer games than Tanaka is James Shields (15). Despite all the balls flying over the fences for Orioles, the win was hardly a stunner. Masahiro Tanaka has gotten the highest run support among major-league starters this season, with the Yankees scoring an average of 6.75 runs in his starts after Saturday’s eight-run outburst. 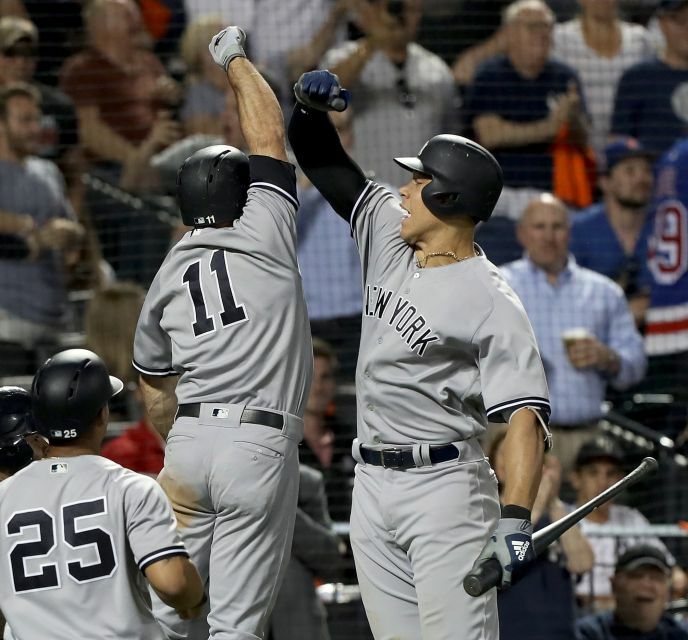 Miguel Andujar and Giancarlo Stanton provided the thump in the lineup, as Miggy turned a 1-0 deficit into a 2-1 advantage with a home run in the second inning and Stanton went deep in the third inning for his first homer since May 19. 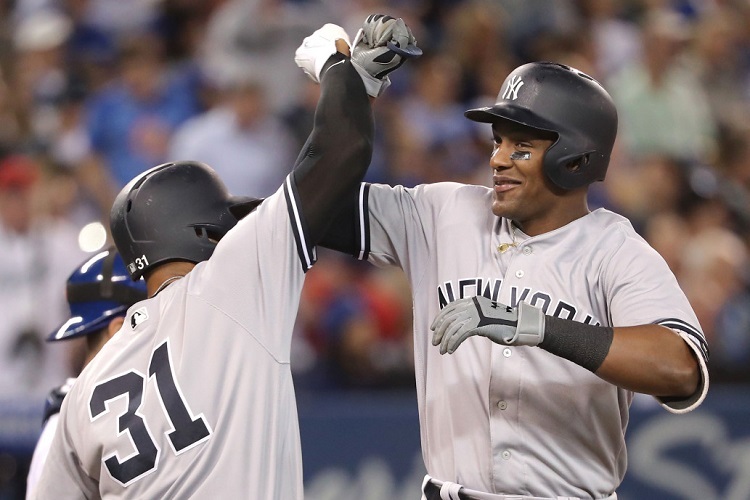 For Andujar, it was his first career home run that gave the Yankees a lead. He also added an RBI double in the eighth, his 20th career two-bagger. Playing in his 51st career game, Andujar is the second-fastest Yankee to reach that milestone. The only guy who got there in fewer games was Joe DiMaggio (46 games) in 1936. 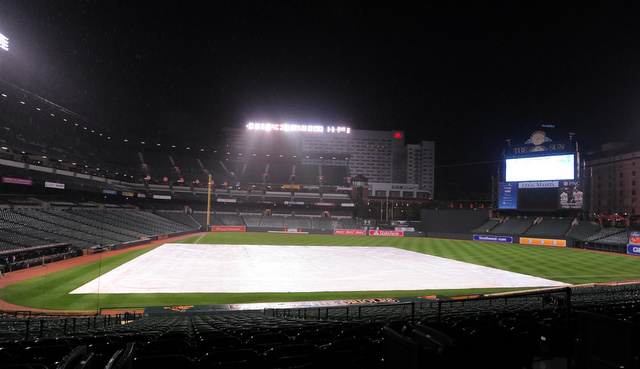 Sunday’s game was postponed due to rain in the Baltimore area, the sixth postponement — five rain-outs and one snow-out — that the Yankees have endured this season (not including their suspended game against the Nationals). That’s one more postponement than they had all of last year and their most in a season since they had nine in 2011. So now they’ll play three doubleheaders this season, the same number they played in 2017. If you’re curious (and I know many of you are based on my twitter mentions), the most doubleheaders played in a season by any MLB team is 46(!) by the 1945 Braves. Yes, that’s 46 days of doubleheaders — 92 games — in a 154-game season. The most the Yankees have played in a single season in the Wild Card Era (since 1995) is six in 1996. For the first time in 2018, the Yankees are in Baltimore. We’re just about a third of the way through the season and this is the first time the Yankees are visiting one of their division rivals. Crazy. They haven’t gone to Tampa Bay yet either. They won’t do that for another few weeks. Like I said, there’s rain in the forecast tonight. Hopefully they can get the game in in a timely fashion. Not really in the mood to wait out a long delay. Tonight’s game is scheduled to begin at 7:05pm ET and you can watch on YES. Enjoy the rain delay game. Injury Updates: Miguel Andujar is fine after that collision with Yuli Gurriel yesterday. 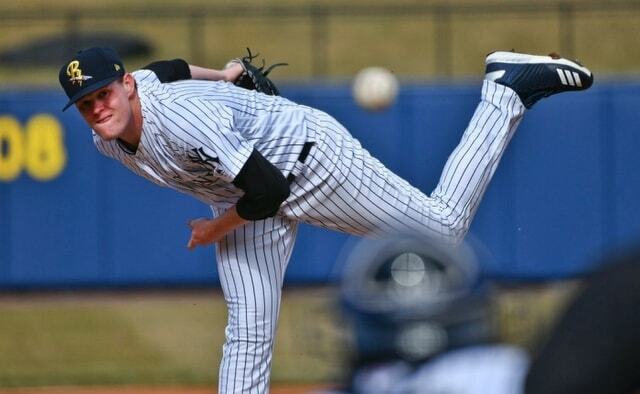 Just a day off for him … Adam Warren (lat) has joined the Yankees in Baltimore but won’t be activated for a few days. 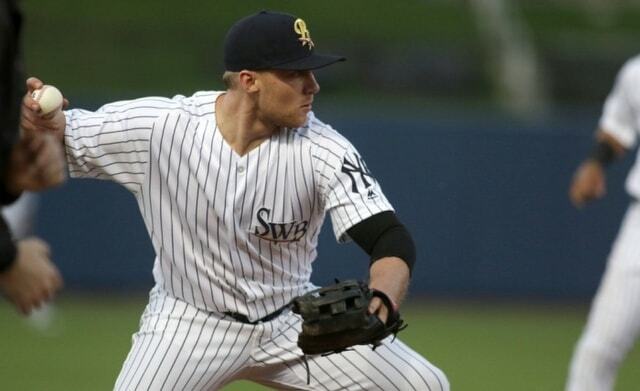 He threw three innings in a rehab game last night and won’t be available for a bit anyway … Jacoby Ellsbury (oblique, hip, foot, back) should start baseball activities soon. We’ll see. Update (6:46pm ET): The game will indeed start in a delay, it has been announced. No word on a start time yet, but, looking at the radar, it could be a while. 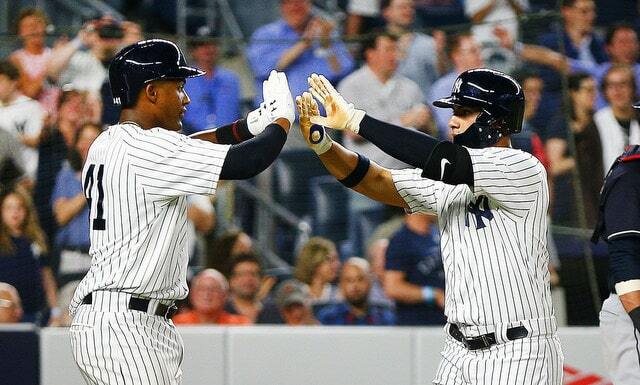 Last night the Yankees stole a win away from the defending champion Astros. The Yankees really had no business winning that game. They made five errors — it could’ve been seven — and struck out 17 times in ten innings. Each of the four relievers used put at least one man on base and the Astros had a runner in scoring position in each of their last three offensive innings. The Yankees were hardly crisp. Three of those errors — and two other defensive miscues that were scoring infield singles but could’ve been errors — were charged to Miguel Andujar and Gleyber Torres. Andujar tripped over his own feet in the fourth and turned a potential 5-4-3 double play ball into zero outs. He also threw away a leadoff grounder in the fifth inning. Both plays contribute to two-run rallies. Torres threw away a grounder in the first and booted another grounder in the seventh. Somehow neither led to a run. 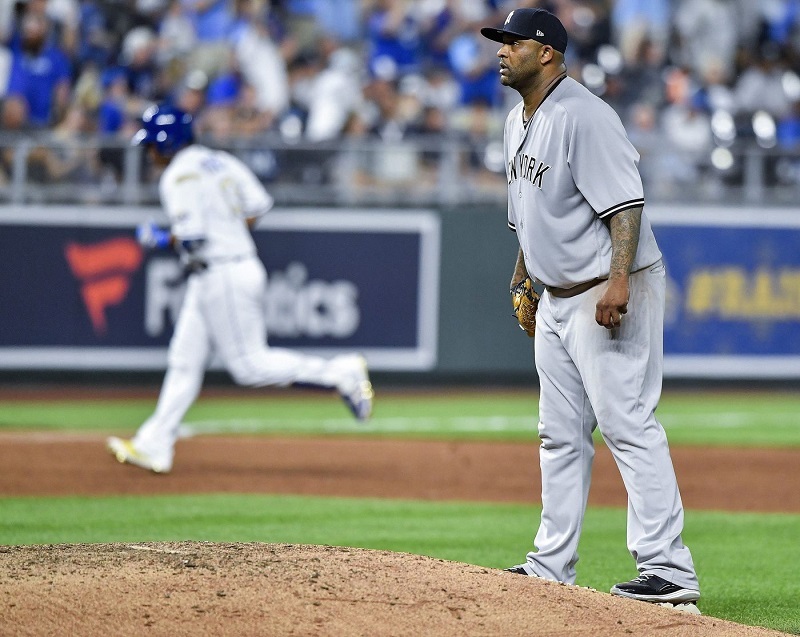 The two rookies had sloppy games defensively — Torres also committed a lackadaisical error Monday, so the last few days haven’t gone well for him in the field — and it very nearly cost the Yankees a game. The bullpen kept the Astros in check and the offense was able to come back in the late innings. Brett Gardner’s game-tying two-run homer was another one of those classic clutch Gardner hits. He’s had a bunch of them the last year or two. Andujar doubled with two outs in the second and Torres brought him in with a single. Andujar worked a five-pitch leadoff walk in the ninth to set Gardner up for the game-tying dinger. Andujar doubled in an 0-2 count with two outs in the tenth, setting Gleyber up for the walk-off. The errors were sloppy. No doubt. The two kids were also able to turn the page and contribute to the comeback. Andujar went 2-for-4 with two doubles, a walk, and three runs scored. Torres went 2-for-5 with two-run scoring singles, including the game-winner in a two-strike count. The Yankees have produced gobs of young talent lately and, while the offensive performances stand out the most, it is truly impressive how mature all these kids seem to be. 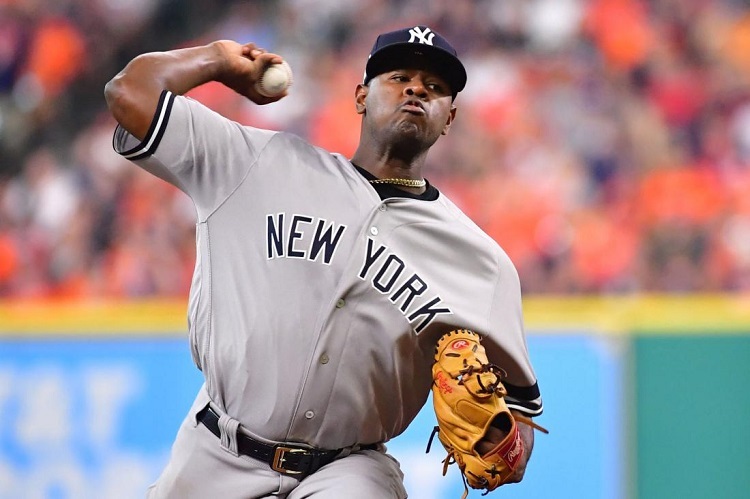 Luis Severino has embraced being the staff ace. Aaron Judge has handled becoming the face of the franchise and most talked about player in the sport like a pro. Gary Sanchez has done a wonderful job taking on all the responsibilities of catching for a contending team at a young age. Andujar and Torres have not been everyday players all that long but we’re already seeing that same type of maturity from them. Gleyber looks like a ten-year veteran at times. 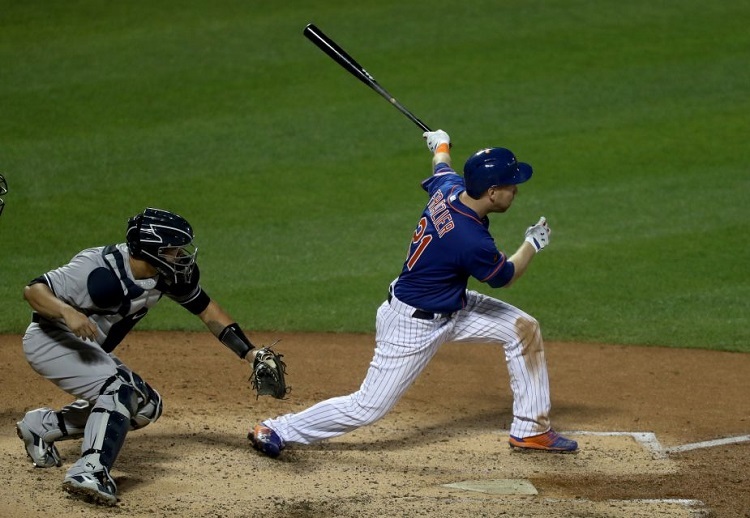 That tenth inning at-bat was the perfect example. He shortened up in the two-strike count and served the ball to right field for the game-winning single. Andujar loves to swing — and I mean loves to swing — but he’s hit the crap out of quality pitching since coming up. Last night might’ve been the most impressive game of their young careers, in my opinion. 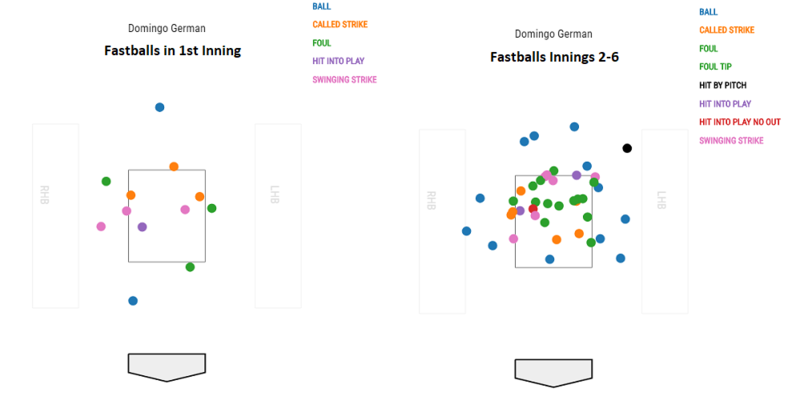 Andujar and Torres both made multiple bad defensive plays that put the Yankees down multiple runs. They were able to turn the page, contribute on offense, and help the Yankees rally from behind for another win. The errors didn’t spiral into bad at-bats. “I need to make up for the errors with a homer here,” that sort of thing. We didn’t see those swings. The two young infielders — remember when the Yankees seemingly didn’t want to go with two rookie infielders this year? — displayed short memories last night and they were able to refocus after the errors. The Yankees are big on makeup and work ethic and it shines in games like last night. Andujar and Torres didn’t feel bad for themselves. It was just okay, we screwed up, let’s move on and do what we can to help the team win. Young players are going to screw up, it’s inevitable, and being able to turn the page is important. It’s a special trait in young players and the Yankees seem to have it in spades.